Proceed to Laikipia for the next three nights. The private conservancies of Laikipia represent an outstanding model of wildlife management that provides AfricanMecca guests with a distinctive safari vacation in Kenya. Those who visit Laikipia during their bush travel in northern Kenya will not only see the Big 5 roaming freely, but also both black and white rhinos, African wild dogs, grevy’s zebras, reticulated giraffes, jackson’s hartebeests and other rare species. 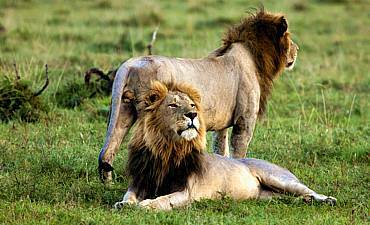 There are more than 70 different mammals and 440 avian feather species in the varied conservancies of Laikipia. Visitants also see some of Kenya’s most ferocious predators, including leopards, lions and cheetahs, and some distinct conservancies participate in important research studies to protect these mighty creatures. 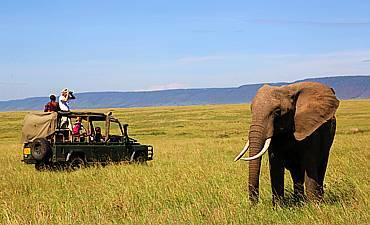 One of the greatest advantages of visiting Laikipia during your adventurous wildlife safari in Kenya is an opportunity to view an abundance of wildlife while partaking of activities that are restricted in national parks in Kenya. These multi-faceted activities are further enhanced by the low number of other guests due to the limited rooming capacity at the sub-conservancies, making Laikipia the perfect choice for those who desire an exclusive African safari experience. Dependent on where you are staying in Laikipia, activities include game drives, bush walks, horseback riding, camel walks and camel rides, aerial helicopter and bi-plan safaris, village visits, quad biking, mountain biking, fishing and much more. Immerse yourself in 61,000 acres of exclusive African bush at Loisaba, a community-based conservancy and lodge situated within the greater northern Laikipia. Loisaba Wilderness Conservancy is jointly operated by the Samburu and Maasai communities with part of the proceeds benefiting vital projects to enhance the quality of life of these native peoples. Choose from three accommodation options, each offering a unique African wilderness holiday experience. 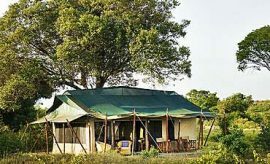 Loisaba Bush Camp features 11 classic tents with flush toilets and traditional hot bucket showers. 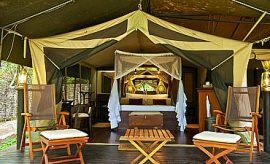 Guest tents are available as family, triple and twin/double, as well as a special honeymoon tent for truly utopian trip to the Laikipia ecology. 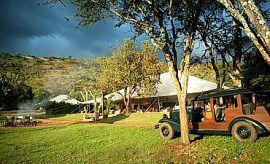 Loisaba Cottage offers the utmost pampering and personalized service, as guests who stay at the cottage are treated to dedicated staff, superlative safari guides and custom game drive vehicle. 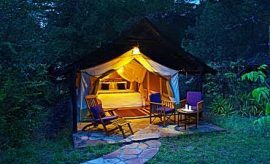 For an enchanting Kenyan travel experience with AfricanMecca, spend your nights sleeping under the stars in one of the Loisaba Wilderness starbeds, an outdoor four-poster bed that is draped in mosquito netting. The Kiboko Starbeds overlook a watering hole (dam) and valley while the Koija Starbeds are set on the bare banks of the Ewaso Nyiro River. There are three starbed platforms at each site with both having a twin platform with two double starbeds and a shared bathroom – perfect for families with two teenage children who can sleep together or two guests who require twins starbeds. An adventurous suspension bridge needs to be crossed to get to Koija while a pathway exists for Kiboko. Unique experiences and destinations are the centerpieces of your discerning Kenyan vacation with AfricanMecca, and Lewa Safari Camp is one of the deluxe accommodations in northern Kenya’s Laikipia wilderness. As one of the eastern Laikipia’s accommodations in the pioneered Lewa Wildlife Conservancy, Lewa Safari Camp gives you unfettered access to 65,000 acres of authentic African bush that is home to one of the richest wildlife populations in Kenya. The wilderness is home to the world’s largest concentration of Grevy’s zebras, as well as rare species such as Beisa oryx and black rhinos and other herbivores include buffaloes, elephants, reticulated giraffes, impalas, hartebeests and more. The abundance of herbivores supports lions, cheetahs, jackals, leopards, hyenas and other carnivores, and the birdlife is astonishing at a count of 440 different species. Your wild African travel experience at Lewa Safari Camp has you resting and relaxing in your distinct, spacious guest tent, complete with full en-suite bathroom with ample hot water and verandah for enjoying the superb views. With only 12 guest tents, all shaded with a thatched roof, Lewa Safari Camp is where you find the quality personalized service, solitude and exclusive wilderness access that ensure a superior Laikipia tour of Lewa Conservancy. 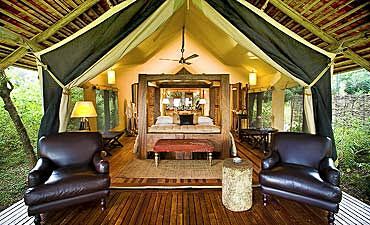 For your romantic couple’s holiday in Kenya, we recommend a tent on the end, and guests with limited mobility may prefer the tents that are closer to the main areas. El Karama Eco Lodge is every bit the ecofriendly lodge as its name suggests. 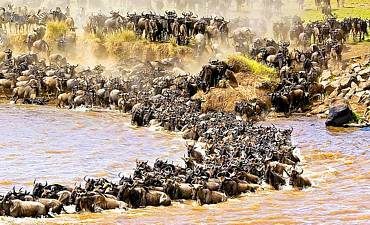 Sited on a 14,000 acre ranch, it is a part of the Ewaso Nyiro River biosphere, which flows nearby. The property, located in central Laikipia in northern Kenya, is owned by a local community under the management of Sophie and Murray Grant. Their commitment to the flora and fauna of the ranch is evident in the way it is operated. 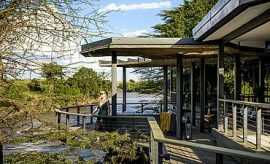 The entire lodge is constructed using locally available materials like rocks, tree trunks, mud and thatch melding beautifully to create a fascinating, value accommodation for AfricanMecca guests traveling in the wilderness of Laikipia. You will be welcomed in the main lounge of the lodge, which is an ovalish structure warmed by a fireplace augmented with a comfortable seating space with sofas and cushions, dining area, bar and mini-library filled with exciting books that discourses about Laikipia and its many inhabitants. El Karama operates so as to leave a minimal footprint on its delicate ecosystem. They use solar panels for heating water and generating power, LED lights are installed everywhere and traditional lanterns are used to provide additional light in the rooms at night. The water used for drinking is rain harvested that is later filtered for safe use. Choose from the 6 varied accommodations the lodge offers with a maximum of 18 guest beds, each structure delightfully unique from the rest. Each of the rooms is adorned in a simple, pastoral style that is comfortable and very inviting. If you are a solo traveler or touring East Africa with a companion, you could stay over in the fused tented banda (four available), which has canvas walls with netted windows and a rollback entrance. 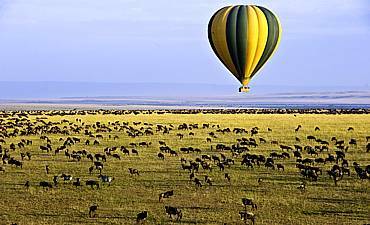 After this distinct safari, we recommend a combination off-beat extension to Amboseli, Chyulu Hills, Tsavo, Shimba Hills or Meru in Southern and Eastern Kenya depending on your safari activity and wildlife preferences. Thereafter, harmoniously conclude with a beach rest and relaxation visit to the Eastern coast of Kenya with varied seashore, cultural and historic experiences available, including the Swahili islands and beaches of Mombasa (Diani, Galu, Tiwi, Nyali, Bamburi), Lamu, Malindi, Watamu, Kilifi, and the secluded Msambweni coast, idyllic islands of Funzi, Chale or also Zanzibar, off the coast of Tanzania. The options are endless! Enjoy a quintessential Kenyan northern safari in Samburu with unrestricted access to authentic rugged East African wilderness. As you travel through Samburu, the diverse terrain transitions from rolling plains to volcanic remnants. The vegetation is concentrated along the Ewaso Nyiro River, the primary source of water in the reserve. You may not expect to see wildlife in such a stark landscape, but Samburu is home to an abundance of animal species. 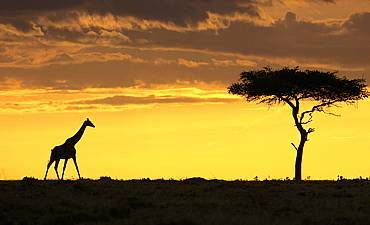 The most notable and sought after are known as the Samburu Special Five – Somali ostriches, Grevy’s zebras, gerenuks, reticulated giraffes and Beisa oryxes. More common mammals are Grant’s gazelles, impalas, waterbucks, dik diks, olive baboons, elephants, warthogs, hippos and carnivores, including lions, cheetahs, crocodiles, leopards, to name a few. Amboseli is a majestic landscape where predator and prey interactions unfolds almost every moment across the 151 square miles of protected wilderness. The park borders Tanzania, and is situated at the base of Mount Kilimanjaro, Africa's tallest peak, and the melting snow flows into underground springs that feed the swamps and wetlands that dot the plains. These water sources attract animals of all sizes, the most sought-after being the free-roaming elephants, but you may also see elands, common waterbucks, Grant's gazelles, Coke's hartebeests, zebras and other grazing herbivores. The abundance of large prey supports lions, leopards and other elusive hunters, as well as jackals, hyenas and many other scavengers.